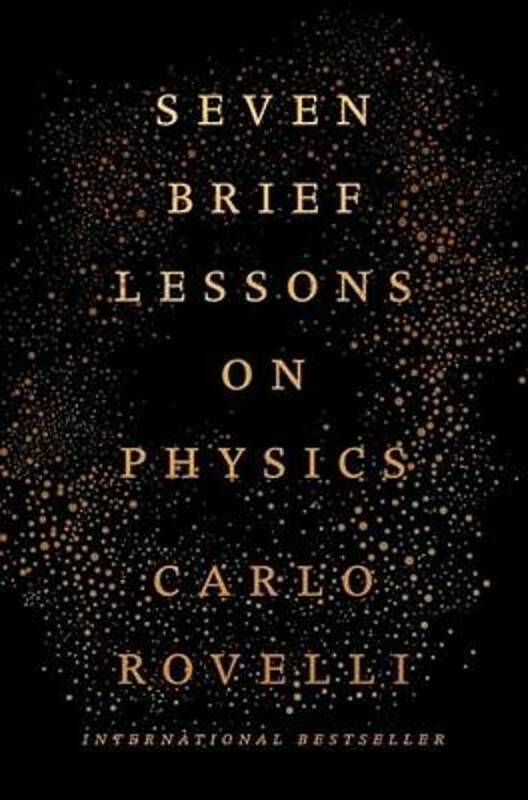 In seven brief lessons, Italian theoretical physicist Carlo Rovelli guides readers with admirable clarity through the most transformative physics breakthroughs of the twentieth and twenty-first centuries. This playful, entertaining and mind-bending introduction to modern physics, already a major bestseller in Italy, explains general relativity, quantum mechanics, elementary particles, gravity, black holes, the complex architecture of the universe, and the role of humans in the strange world Rovelli describes. This is a book about the joy of discovery. It takes readers to the frontiers of our knowledge: to the most minute reaches of the fabric of space, back to the origins of the cosmos, and into the workings of our minds. Here, on the edge of what we know, in contact with the ocean of the unknown, shines the mystery and the beauty of the world, Rovelli writes. And it's breathtaking.